This publication includes designations, chemical composition limits and color codes for aluminum hardeners registered in accordance with the International Designation System for Aluminum Hardeners. 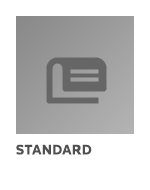 Additionally the American National Standard ANSI H35.4, Designation System for Aluminum Hardeners, is printed as a Recommendation in this publication. revisions to Color Scheme for determining color codes for aluminum hardeners.